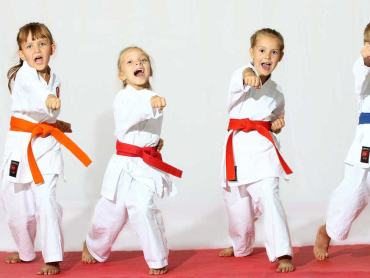 Our Kids Tae Kwon Do classes are specifically designed to be age-appropriate, character building, focus training, and teamwork oriented! With Tae Kwon Do, Brazilian Jiu Jitsu, and Muay Thai Kickboxing options your child will always be challenged and learning new skills! 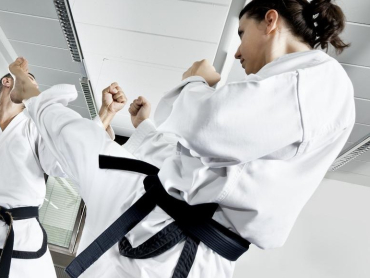 Lone Star Tae Kwon Do is different from the traditional Karate class: you only need the power of your hands! This program is an intense workout that will help relieve stress and boost your confidence! With Lone Star Black Belt Academy's Brazilian Jiu Jitsu classes, you'll learn the concept that the smaller and weaker person can defend themselves against a larger, stronger and physically opposing individual. In our classes you will learn how to utilize leverage and technique in order to end any fight. Check Out What Lone Star Black Belt Academy Has To Offer! Awesome staff! My son loves it here and Master Jackson does a great job teaching not only martial arts, but important moral lessons (anti-bullying, etc) too. Mr. Jackson and his team are outstanding with the kids and truly care about there students. Between their dedication and the wonderful parents this school definitely feels like a family!